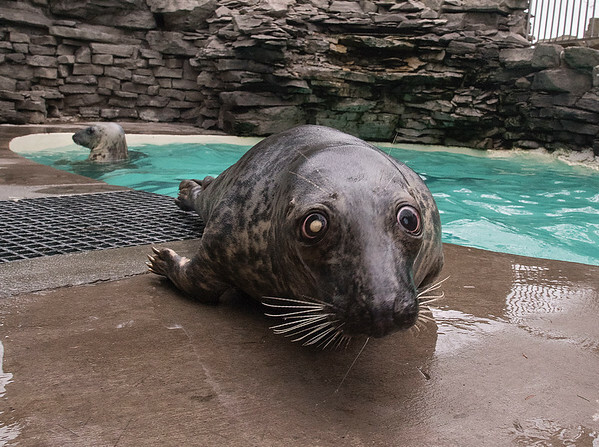 Niagara Falls, NY - Medusa, a 2 year old grey seal who was rescued off the coast of Long Island in Riverhead, NY. is the new rescue animal acquisition at the Aquarium of Niagara. Found stranded, Medusa was diagnosed with bilateral cataracts and was deemed visually impaired in both eyes and non-releasable.